I love a good burger! Perhaps on this bitterly cold Ohio winter day my brain is longing for a warm sunny day on Center Hill Lake in Middle Tennessee. When I was no more than 6 months old my parents had me on a boat and throughout my life this wonderful place has always been a refuge. Diving into the crisp, green water felt like all the stress and worries were just washed away and after a day of playing hard with sunburned skin nothing tasted better than a ‘lake burger’. Let me explain, a ‘lake burger’ is probably the best thing you will ever eat in the burger category. It could be the grilled flavor, the crispy iceberg lettuce or sitting in the middle of the water and enjoying every last bite that makes it so great. There just something about pulling the boat up to a dock restaurant picking up your order and speeding off over the water to find the perfect place to enjoy that burger. This is not quite a ‘lake burger’ but a healthy combo of flavors that I love and happen to be craving – enjoy! Combine all ingredients well and form into 4 equal patties. Set aside and let come to room temperature before cooking. In the mean time start the onions. While they are cooking, whip up the comeback sauce and place in the fridge. As the onions are finishing up, cook the burgers to desired temperature. Make sure to let burgers rest a few minutes before assembly. In a fry pan, heat olive oil over medium heat. Add onions and cook for 15-20 minutes until onions are a deep brown color. You may add a little salt if desired towards the end of cooking. Combine all ingredients. Add hot sauce and cayenne to taste, more for a spicier version. I used my rocket blender to combine everything but a bowl and whisk would work just fine. Be generous with the comeback sauce put on both sides of the bun. 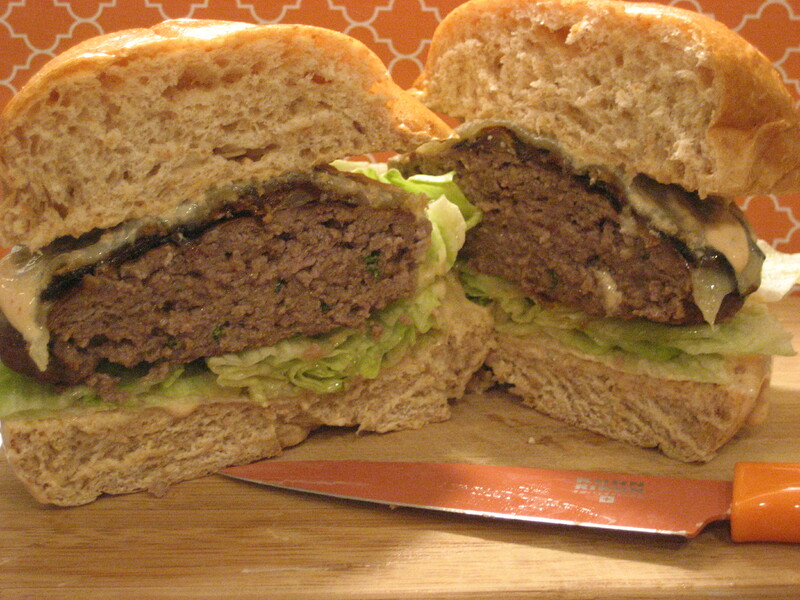 Place lettuce on bottom, add burger, caramelized onions and top with a slice of white cheddar – now sit back and enjoy! I don’t solely shop at Whole Foods but I do prefer some items – their bakery-fresh whole wheat hamburger buns are really good. My tried and true Cajun seasoning of choice is Tony Chachere’s. And yes that’ me. 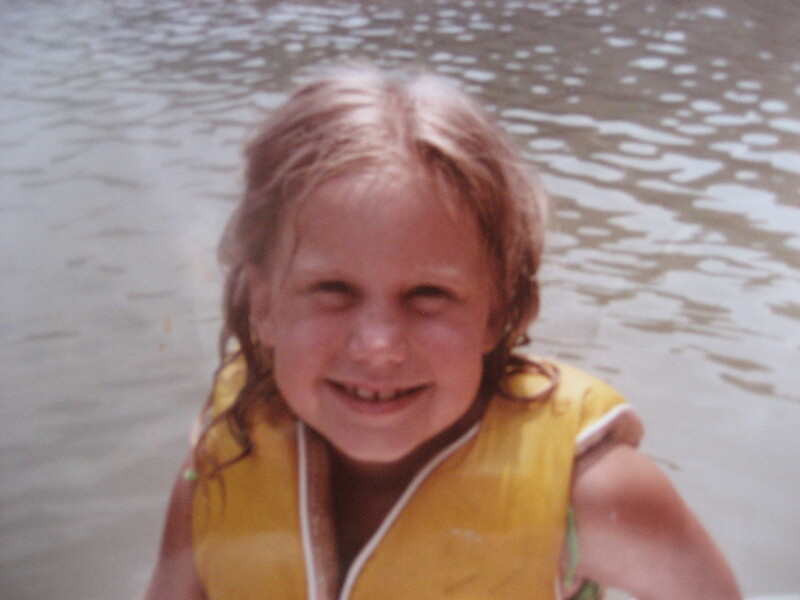 I was probably 6 or 7 years old enjoying a lake day! 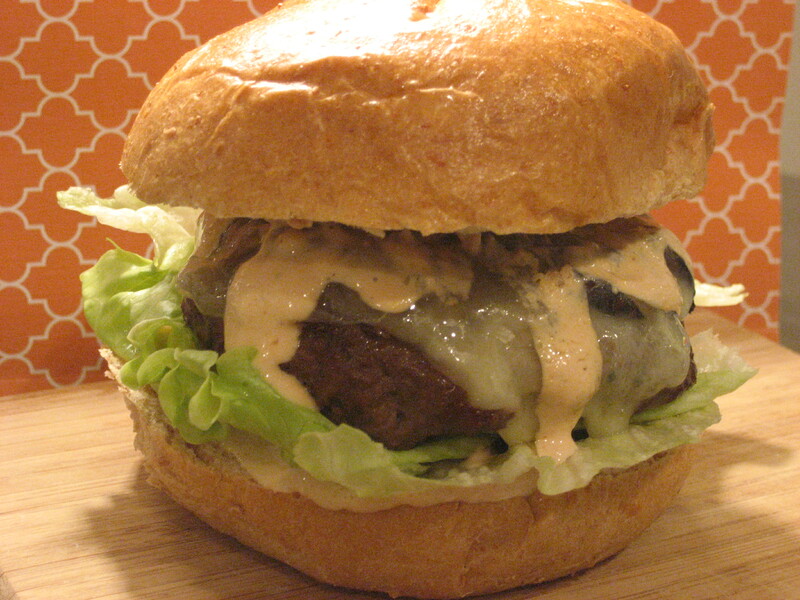 This entry was posted in Burgers and Sandwiches and tagged burger, caramelized onion, center hill lake, comeback sauce, cooking, Fage, Food, greek yogurt, grilling, Tony Chachere, whole foods on January 23, 2011 by lolleigh. Love your pictures, love your food and love love your taste tester. can’t wait to make these this week! I’m saying! They are sooo good! I would watch you on Food Network! Girl, I knew you’d be one of my biggest fans and if I got on the Food Network I would totally take you along! OMG…might have to make a big ‘ol TUB of your Comeback Sauce!!! Sounds FANTASTIC!! That picture of you looks so familiar. Was it in our senior yearbook? 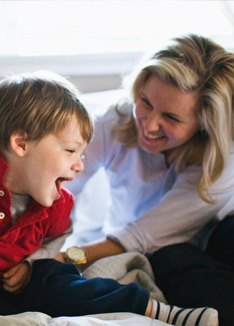 I never thought that when I started this blog for my son, that what I had learned from my great grandmother, grandmother, mother and a whole host of strong Southern women about the kitchen would become life lessons to guide me through the unexpectedness of life.